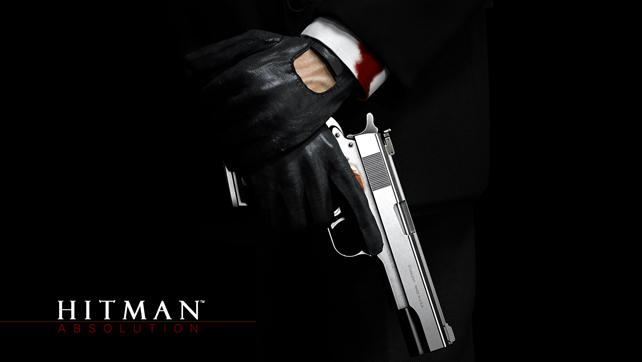 It’s been 10 years since the release of Hitman 2: Silent Assassin, my first entry in to the series, and a game that I knew nothing about but bought on the strength of a demo that came with Official Playstation 2 Magazine in the UK. The principle is simple, the player is “47”, a highly trained assassin given a target by his employers “The Agency” in a specific location and left to perform the hit in any way the player sees fit, and through utilising the ability to take anyones outfit as a disguise. This can be sniping from distance, poisoning, accidents, explosives, or strangulation with the trusty fibrewire, with the only constraint being the size of the map. I don’t know how many times I played the demo level (a hit on a mob boss in his country villa in Italy), but I do know I found every possible way to complete the level, whether that was with Silent Assassin rank (only the target dying and not being spotted) or Psychopath rank (no witnesses and no mercy). This set the tone for the full game, with the challenge of staying hidden getting increasingly trickier and the hit more satisfying because the game was hard and unforgiving, but never unfair. 2 years later came Hitman: Contracts that expanded on the gameplay and gave some very memorable missions, then 2 more years after that, Hitman: Blood Money arrived which refined the core mechanics and produced a stunning game that left me wanting more for the PS3. Little did I know it would take 6 years for it to land on store shelves. 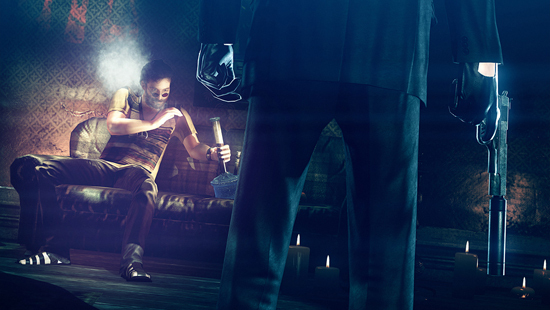 Finally, Hitman Absolution has arrived and it’s both the game I wanted and is completely unexpected at the same time. Firstly, this game is gorgeous! The Glacier 2 engine is extremely capable of handling intricate scenery, destructable objects and multiple NPCs, many of these with independent A.I. too. No matter how much is going on and how frantic it gets there is no screen tearing or slowdown I’ve seen (beat that Assassins Creed!). Audio is also very good with the surround speakers getting a thorough workout, and being particularly useful in a couple of situations where visibility is limited. The cutscenes that tell the (unbelievable but entertaining) story look to be rendered with a more polished version of the in-game engine, a lot like Killzone, and are well scripted and voice acted, as well as doing a reasonable job of making you dislike the villains. This game is definitely more story driven than the others, and that shows in the structure of the levels and the way they progress. 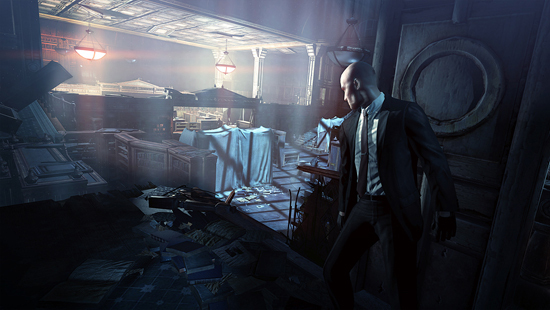 The core Hitman gameplay is still there, though there are some changes that the story has dictated that removes some of the more tactical aspects. The ability to select your weapon loadout before a mission has gone, and silenced weapons are not available in all situations, which is good because it forces you to work with new environmental objects. Knives, tomahawks, axes, screwdrivers and all manner of innocuous everyday items can be used to deliver death to the unsuspecting, with my favourite being anything that uses the new throwing ability. It’s the most fun I’ve had with everyday objects in a game since Dead Rising 2. Not that these are the only way to kill. Truly silent assassins will use the accidental deaths to mask their work, whether this is dropping someone down an open hole, closing piano lids on them, or utilising large sculptures to take down multiple targets at once. If all of these fail you can always take your chances and go loud with the wide selection of pistols, shotguns and rifles. This can be very tempting but will cause reinforcements to flock to your position and only eliminating all of them or finding a new disguise will allow you to reduce the alert and finish the level. 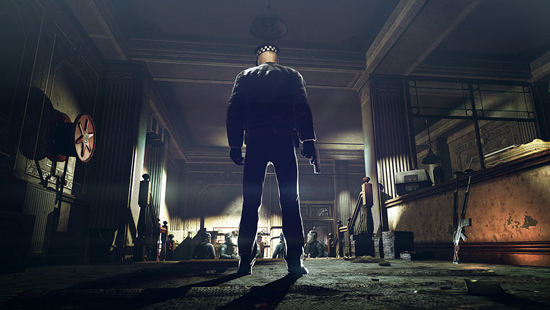 Sadly, the focus on story driven narrative also takes away some of the magic that was Hitman. A lot of levels are no longer a test of eliminating your target without raising suspicion, and more an exercise of stealth and patience, with many sections not having targets at all. This is especially apparent in the first several Chicago levels where 47 is more hunted than hunter and the emphasis is on not being detected by the scores of cops. This change in gameplay is well executed and does work brilliantly at times, borrowing heavily from Splinter Cell, but I wasn’t expecting so much during the opening levels. That said there are points early on that astound with the number of options for hitting the targets when they are available, the volume of characters in the crowds, and the level of detail in the environments. The game even makes a point of telling you there are 12 unique ways of terminating the King of Chinatown early on, something that doesn’t seem possible at first, but ends up being a lot of fun finding out. I played the first quarter of the game with @clinicalandy and this level kept us experimenting and replaying for most of the 12 hours we put in over the course of a day. One thing that prompted this was the cryptic descriptions of challenges in the dossier for the mission, and bizarrely for a single player game, this became a team effort to work out what we needed to do and actually execute them in-game. This leads nicely to the multiplayer which you wouldn’t expect from a game with only 1 character and a heavy singleplayer legacy. Contracts mode works as a score based competition and promotes simply getting the best score for a scenario created by you, your friends or the community. Making a contract is simple, start a section of a level, mark your targets, eliminate them and leave. A baseline score is set based on how the target was taken out and what outfit 47 was using, a bonus is applied for how quickly it was done, then you post it for competition to start. Throw in the ability to name the contract and give it a short briefing and you’ve got a simple but effective mode that can be as engaging as the main story. I’ve played equal amounts of both where I usually only start multiplayer after I’ve finished the main game. In summary for the main game, there are 20 missions with multiple sections to navigate your way through, some quite linear, some open-ended, but always enjoyable and with huge amounts of replay value. The story lasts around 15 hours depending how you approach the levels, and will be double that if you want to complete all the challenges. Contracts mode adds hours more and will only stop being a time stealer when you get bored, like Little Big Planet there are thousands of user generated missions to go at. If you don’t like stealth games this will not be for you, but IO Interactive have delivered a tight and polished game that is currently sitting at the top of my list for game of the year. It’s not quite the Hitman of old, the changes feel restrictive until you get used to them, and the significant variety and scope only come in to play around the halfway mark, but it really makes it worthwhile in the end. Hopefully there will be extra contract DLC for the singleplayer over the next few months, I know I’ll be forking out for it with no hesitation. The Good: Graphics, Replayability, Throwing Axes!